The fine arts colony organised by the Ljubljana Festival is one of the few to take place in such a distinctly urban setting, and probably also one of the few to offer painters such ideal conditions for work. The venue itself – the Pergola in Plečnik‘s Križanke complex, where the artists work – seems to have something very positive about it. It evidently stands at a point that radiates powerful positive and creative energy. The fine arts colony is complemented by the other Festival events – musical and theatrical – and this synergy creates an ideal stimulus for the visual artist. It is a characteristic of artists that their spirit is always somewhere at the edge of the known universe and that they are constantly working to expand its boundaries. They are therefore somehow revolutionary by nature. The essence of what artists do is to transform the matter of reality and dematerialise structure by suggesting new areas which they are capable of perceiving in the present and imagining in the future. The task of the artist is therefore to present new visions of the world, to offer a kind of magnifying glass that enlarges those details of existence that escape the superficial gaze, in order to help human beings better understand different views of life. This impulse is the basis of every creation. Artistic creation through visual language means that visual perception is not only determined by material factors but also by cultural ones and by memory. The impulses that these coded and modified „pictures“ stimulate in our brains, so that they themselves become active in the process of creativity, can be of various types. The majority of artists and interpreters say that when several types of artistic expression interweave simultaneously, that is when they themselves are more creative. It is well known that the creative process in human beings is not only based on the rational part of the consciousness, but draws above all on the irrational part, in other words sensitivity, impulsiveness, intuition, instinct – in short, on all the emotions. In the moment in which a visual artist sits down in front of an empty white canvas, they have to engage all their mental and physical capacities and „cast a spell“ on the canvas if they wish to arrive at the desired result. Artists from different countries and different cultures will be grappling with this „sorcery“ in Ljubljana‘s Križanke complex this year. The concept of all previous editions of the fine arts colony has been to invite four Slovene artists and four foreign artists. This year‘s selection, by contrast, includes six artists who are not Slovenes but who have lived in Slovenia for several years. HUIQIN WANG is originally from China, KEIKO MIYAZAKI from Japan, PARIDE DI STEFANO from Italy, BAGRAT ARAZYAN from Armenia, VIANNEY LEFEBVRE from France and EDUARD BELSKY from Ukraine. They are joined by ELISABETTA BACCI from neighbouring Italy and JASMINA ROJC from Slovenia. I wish all participants a great deal of creative inspiration and an enjoyable gathering. 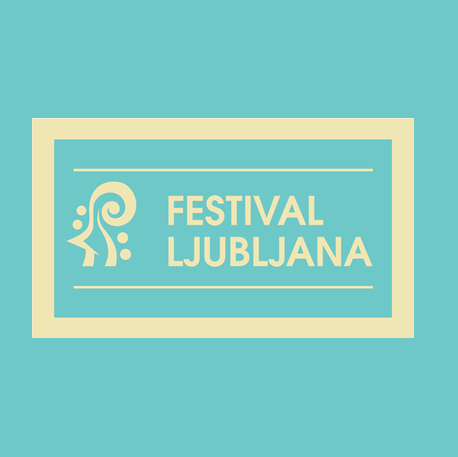 I hope that the weather is kind to us and that Ljubljana will enchant this year‘s artists as much as it has their predecessors. This year, we will be joined by the wellknown artist Alenka Slavinec. Alenka Slavinec is the creator of “Plečnik’s Križanke Symphony”, a photographic exhibition that marked the 60th anniversary of the Ljubljana Festival. At the opening of the exhibition that closes the fine arts colony, she will present the artists using her own Siliammm portrait technique.